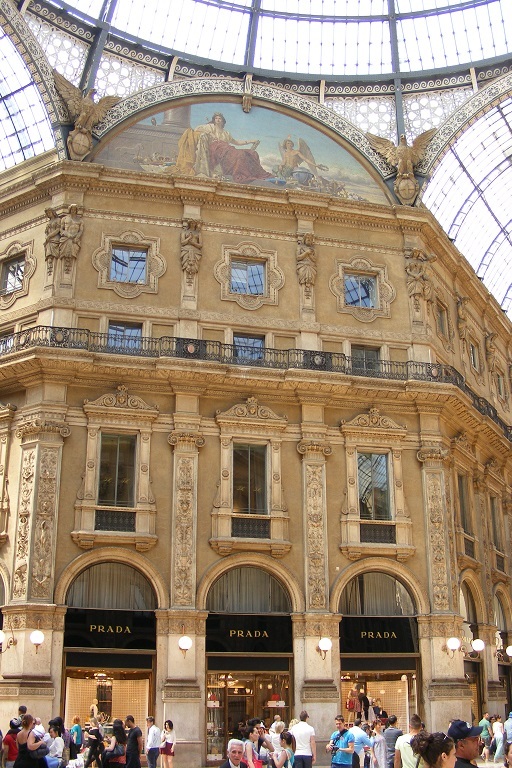 Today we moved to Milan for a 3 night stay. After checking out from the hotel we chose to walk to Turin Porta Susa Station as we had plenty of time and needed the exercise. The station is very new and, as yet, has few facilities - no waiting room, only one very small bar where one can get coffee or a snack. There are some benches on the platforms but one needs to know which platform the train will on before one can sit down. The train (to Venice) arrived and departed on time and we had quite a bumpy ride to Milan. We found a convenient cafe in the station concourse and had a coffee and a sandwich before looking for our hotel. 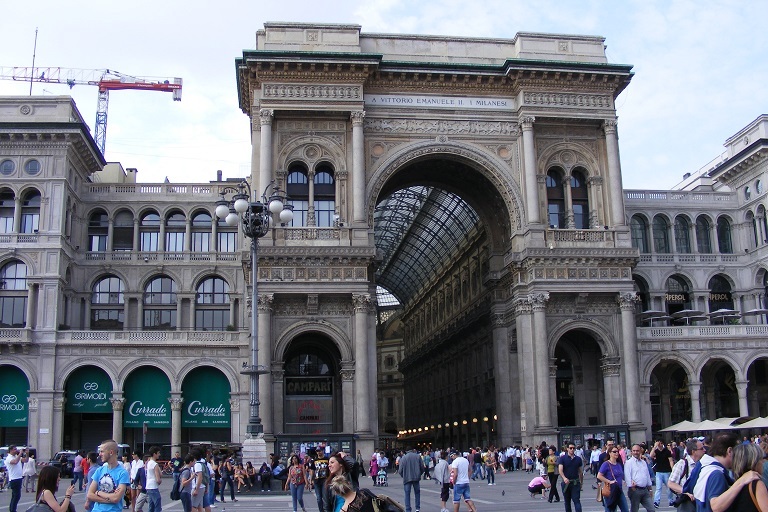 We were booked into a hotel directly opposite Milan Central Station and we soon found it and checked in. After a rest we went out and took a Metro train to Duomo station. We were not able see much of the cathedral as there was a rock concert going on in the piazza outside the Duomo. 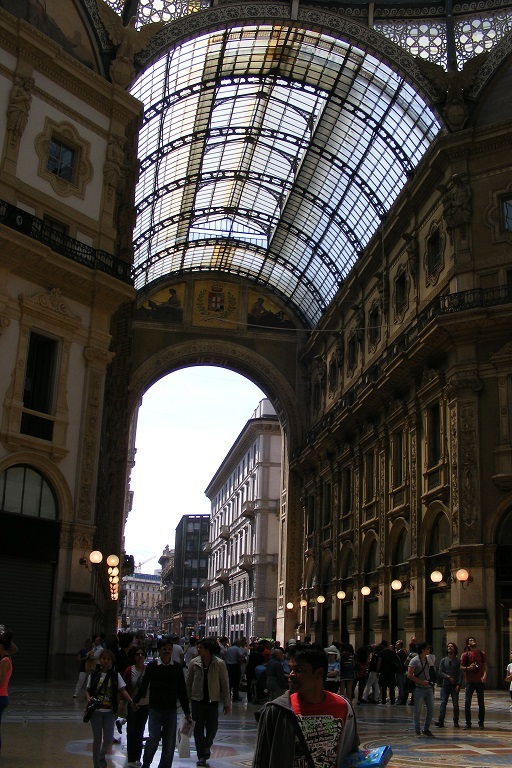 We settled instead for exploring the La Galleria Vittorio Emanuele (19th century shopping arcade) which is situated on one side of the Piazza Duomo. 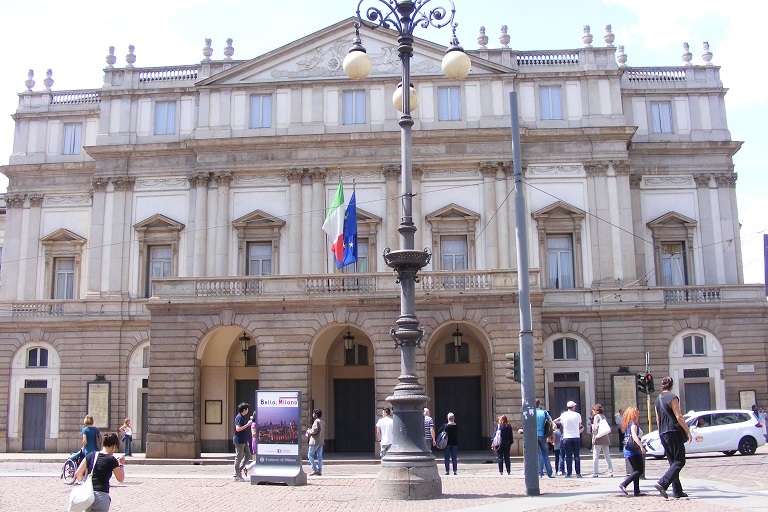 We walked through, took photos, found La Scala theatre and then bought an icecream from Savini's (an expensive restaurant in the Galleria). 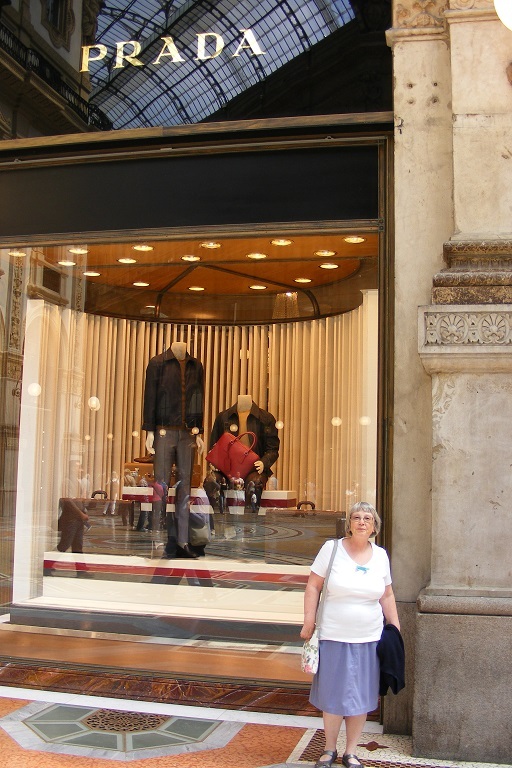 Later we explored La Rinascente (an expensive department store next to the Galleria entrance.) 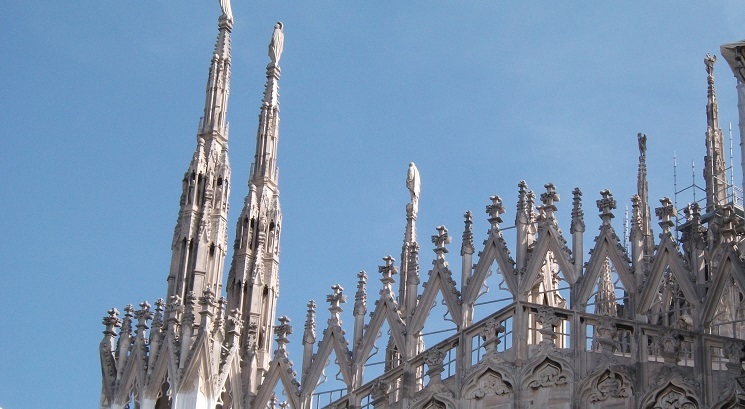 The exterior of the Duomo is decorated with statues, pinnacles, and all sorts, all in white marble. This includes the roof. 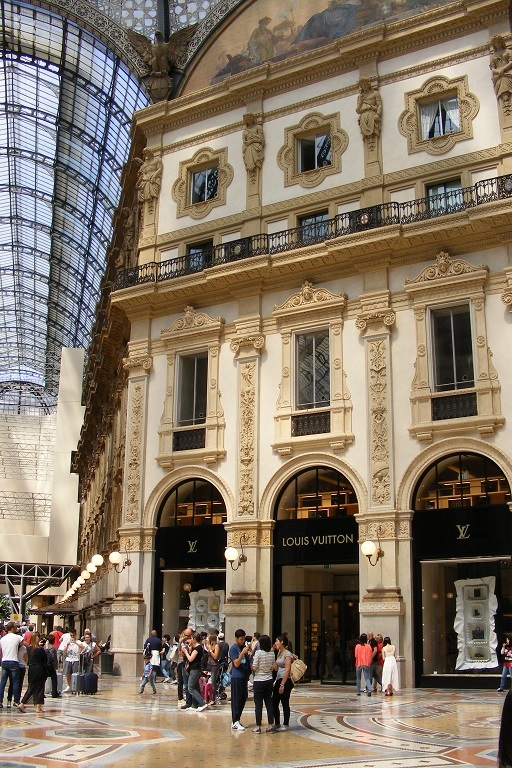 There is quite a good view of the roof from the roof terrace (bars & restaurants up there) of La Rinascente. We had drinks in one of the bars up there and took our photographs. 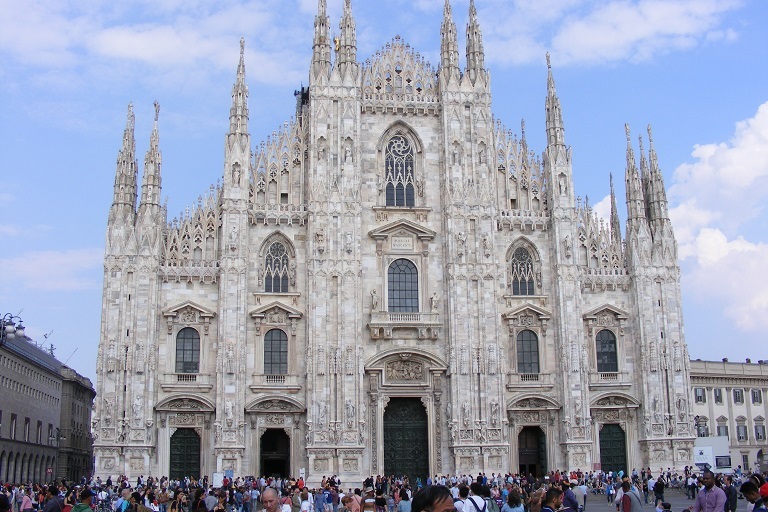 We did look briefly in the Duomo but it is very plain inside - the outside is definitely the star.